During the recent PlayStation Lineup Tour 2018 stream ahead of this year’s Tokyo Game Show, Bandai Namco’s God Eater 3 made an appearance. A new trailer played during the stream, providing further looks at the game’s story and announcing the Japanese release date of December 13, 2018. The trailer was later released in English, confirming a release window for the localization. While God Eater 3 is making the end of 2018 in Japan, don’t expect to see it around these parts until sometime within the first few months of 2019. Right now, the release window is set at “early 2019,” presumably placing it somewhere in the first quarter. The trailer expands more upon the God Eater 3 story, which is based around an apocalyptic premise. The Ashlands, some sort of disastrous phenomenon, is expanding, making the world more and more inhabitable over time. A new force of “God Eaters” called AGEs, have been developed to resist the harsh conditions of the Ashlands, in hopes of giving humanity one last chance at survival. 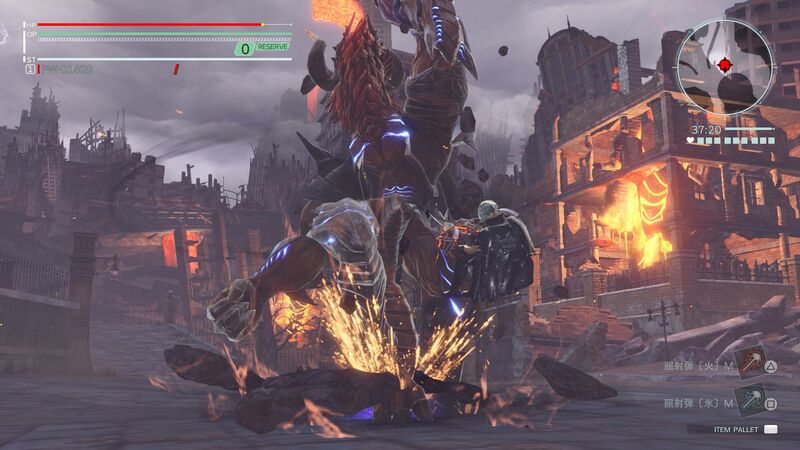 Of course, the Ashlands bring with it more Aragami, the series’ trademark monstrous beasts. God Eater 3 naturally introduces many new features, including the new, multiform Biting-Edge weapon that swaps between a dual-wielding form and a “Mow-Down” form that offers enhanced strength and function, at the expense of stamina regeneration.